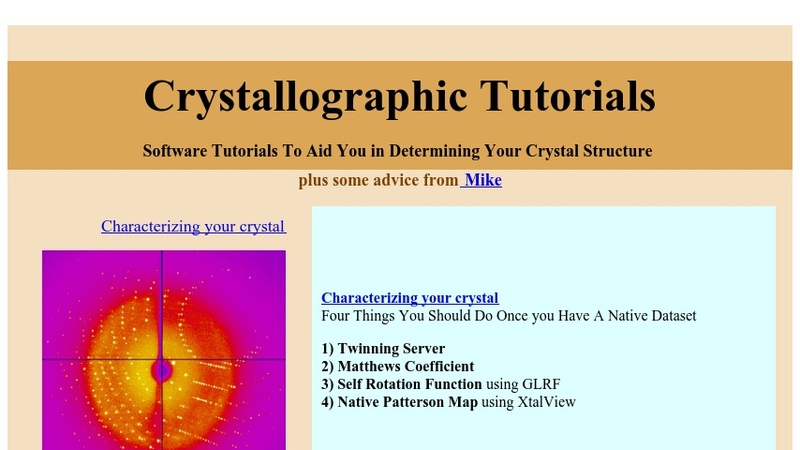 Michael R. Sawaya, a researcher at UCLA, provides crystallographic software tutorials to help researchers and students determine their crystal structure. First, users can discover four procedures they should perform to characterize their crystal after they have a native dataset. Students can find helpful, detailed information about six molecular replacement programs and about the phasing process. Lastly, the website discusses how to choose the best graphics program. Throughout the site, the author supplies many references and abstracts so that users know where to find further information.